In 1981 Cose del '900 opens in the city of art and beauty par excellence. 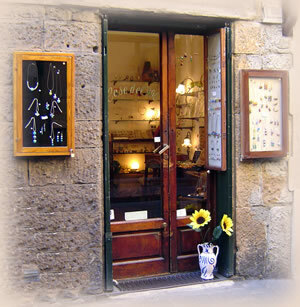 The location of this small shop could only be a wonderful historic building in Borgo San Jacopo a few steps from Ponte Vecchio. 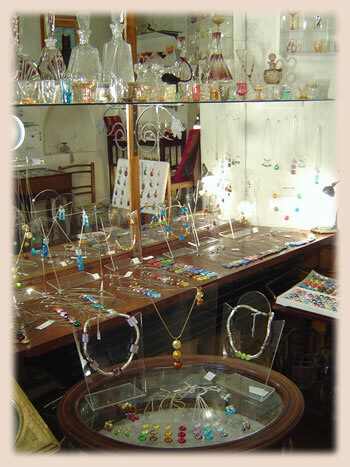 Here the famous Murano glass beads, bearers of light and color by definition, are transformed into brilliant original creations by the owners of the shop. Visit our shop, with a wide choiche of styles and colors, our Murano Glass beads offer any possible combination of shapes and colors to match your desires.